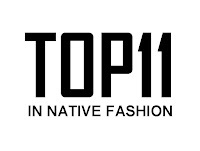 Well, I don't like when bad people who do bad things get all the attention, so now here is another list: The Top 11 Cool Things That Happened in Native Fashion in 2011. 1. 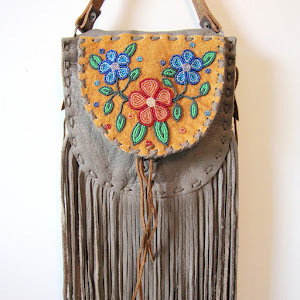 Beyond Buckskin Expands: Not only did this blog site get a major make-over (thanks to Silver Jackson), now you can keep up with Beyond Buckskin and the Native fashion scene on Facebook, Twitter, Pinterest, and Etsy. Whew. 2. Native Designers in the Press: Journalists and writers were lovin Native fashion designers this year: Navajo designers were featured in WOTN Online Mag, the Canadian press fell in love with Manitoba Mukluks, Swagg Mag and other street sites promo'd Sho Sho Esquiro's threads, powwow fashionista Jhane Myers was featured on KASA Tv, Orlando Dugi was spotlighted on Phoenix's Good Morning Arizona, Dorothy Grant's shop closing was discussed as a sign of the economic times, and Louie Gong and his kickass shoes showed up in video docs and magazines. 3. Collaborations: In the past twelve months, we saw four majorly-cool collaborations: the first was American fashion designer Siki Im's collaboration with Navajo textile artist Tahnibaa Naataanii, the second was West is Dead's partnership with Native tribes, and the third was Nike's collaboration with Native artist Bunky Echo-Hawk. Finally, Virgil Ortiz collaborated with a major carpet company to produce his Indigenous Imprints collection. 4. 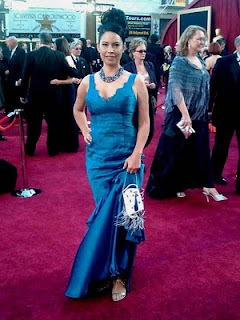 On the Red Carpet: Speaking of carpets, Orlando Dugi and Disa Tootoosis saw their creations on the Red Carpet this year. Hopefully we'll see even more celebs rockin Native-made gear in 2012. 5. Maori Fashion Continues to Grow: Miromoda continued their mission statement of bringing Maori fashion to the global scene with their 2011 efforts with New Zealand Fashion Week. 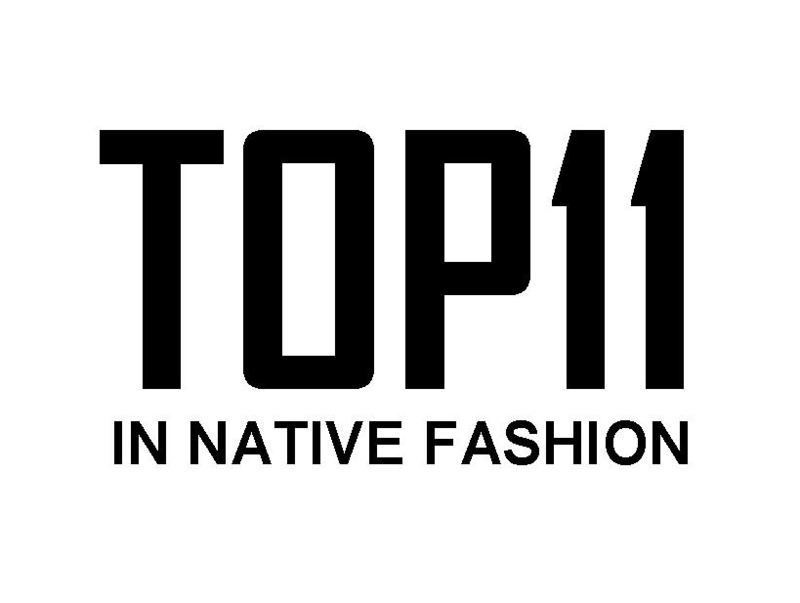 They're doing some really cool projects, so expect more posts on Maori fashion in 2012. 6. A Fashionable Heard Indian Market: Several fashion designers and jewelers rocked out the annual Phoenix event, including Margaret Roach Wheeler, Pilar Agoyo, Craig Kelly, Penny Singer, Sheridan MacKnight, Douglas Miles, and the Gaussoin family. 7. The History of Native Fashion at IAIA: My online exhibition about the important history of Native fashion at the Institute of American Indian Arts recently launched, and featured information on Lloyd Kiva New, Wendy Ponca, Patricia Michaels, and Pilar Agoyo. 8. Fashion at the Gathering of Nations: Some of the most fashionable Native scenesters showed up for the events held during the annual powwow in Albuquerque. Tracy Toulouse, Vans, and Turquoise Soul were joined by G Jewelry, Mea BFly, DreLynn Designs, and many beadwork artists. Also during GON11, I tagged along on a photoshoot for a behind-the-scenes look at all the hard work that goes into being a Native fashion designer. 9. 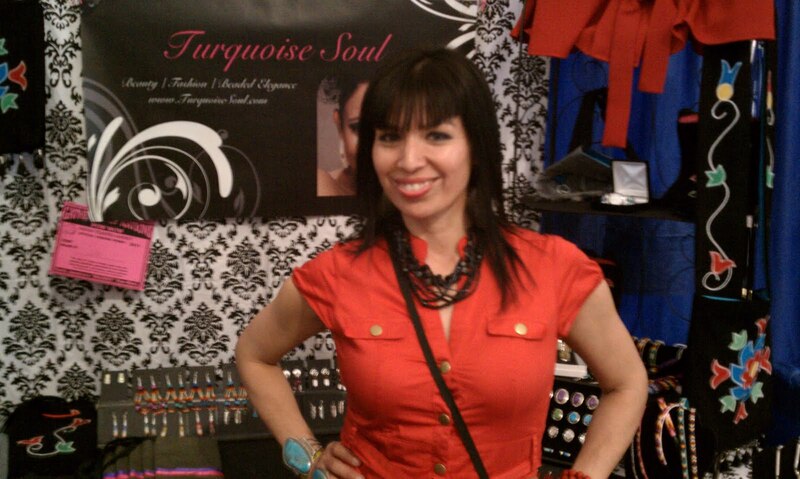 Awards and Recognition: Native fashion designers continued to receive recognition for their work in 2011. Danita Strawberry was commissioned to create a Star Dress for a museum, Angela DeMontigny was selected to create clothes for the Calgary Stampede Royalty, Mildred Carpenter's dress was featured in an exhibition, and she also won the top designer award at the He Sapa Style show. 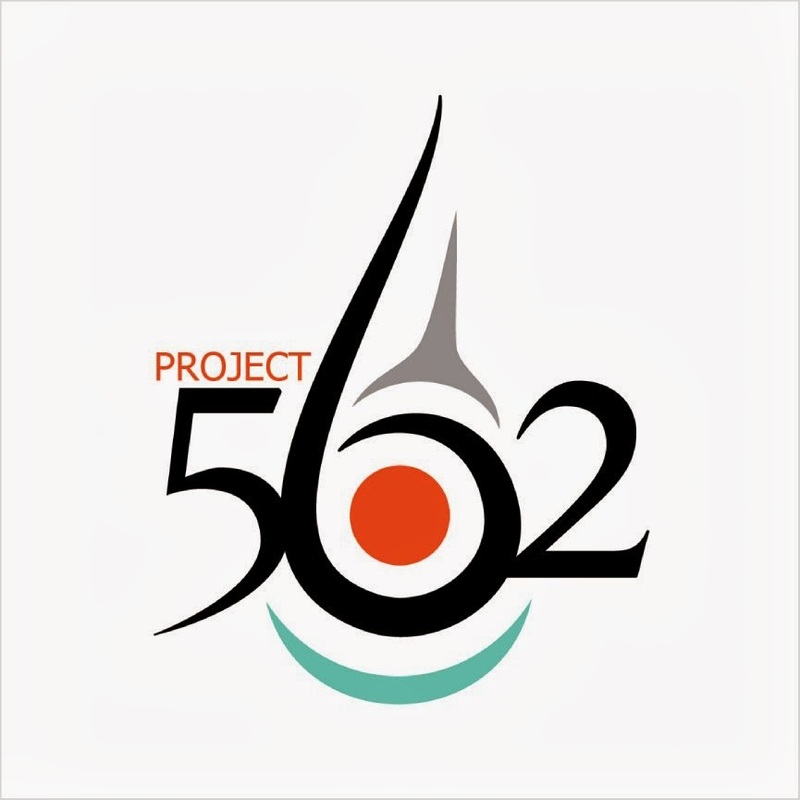 Beyond Buckskin was chosen as one of the five Indigenous Blogs to Follow Now, and Tammy Beauvais created scarves worn by graduating students at McGill, and she also created a Kateri scarf to present to the Pope. 10. 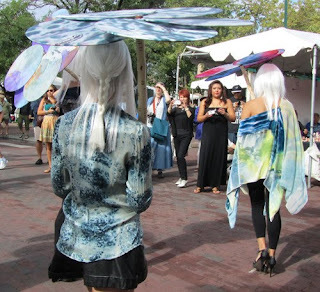 Santa Fe Indian Market Style: Once again, SWAIA hosted many fashion events during their annual Indian Market. Patricia Michaels presented her popular Guerrilla Fashion Parade, Tom Ford weighed in on the Clothing Contest as a guest judge, and Dallin Maybee, Naomi Bebo Maybee, Toni Williams, and little Persephone Maybee were among the winners. 11. New Fashion Crushes: Adding to the many designers who I respect (and have covered in this blog since 2009), I developed some new fashion crushes in 2011, including Turquoise Soul, Sho Sho Esquiro, and Tracy Toulouse (I got to meet them at GON11), and all those cool Etsy artists who I have been Etsy-stalking since the end of November (expect some more formal profile posts on them in 2012). Rockin new digs and kicks in 2012! How is this even legit? Kanati is the biggest Native brand that has deals with companies like True Religion for one. And they actually sell worldwide. You'd think that would have made it lmao Just because they don't do the pow wow's you can't count them out. ^I'd have to agree with Ray, companies like sho are cool for what they are but they aren't real companies in a sense of profit and mass distribution that a company like Kanati does. 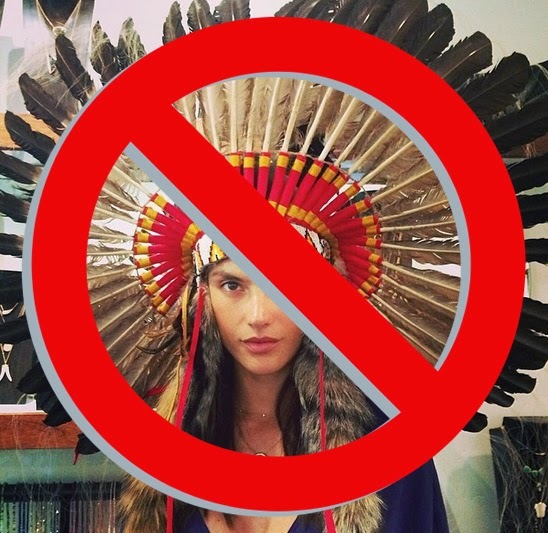 pfft...kanati owns native fashion..like $2M in sales a year...are these brands even carried in real stores? little bias are we? your readers think so!